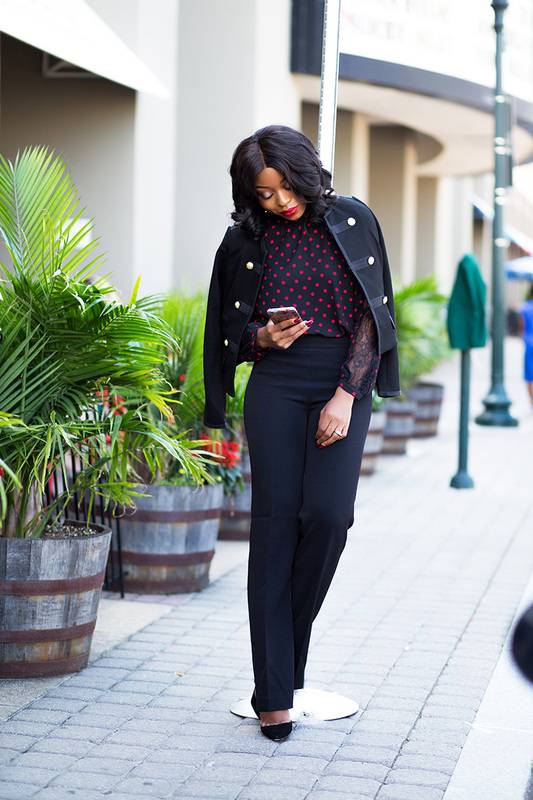 Today’s post is all about work style. I personally believe work styles should reflect who you are, where you plan to be and I like dressing in the way I wish to be addressed. 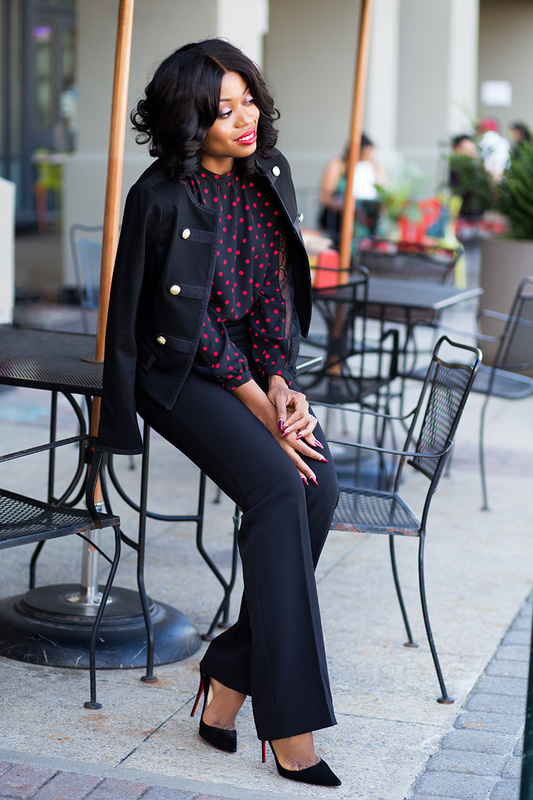 I always want to make a lasting impression on people I meet and remember, work style can be classy and fun. I place importance on work styles that are comfortable and reflect my personality as such, I look for pieces with great colors and unique details. For these reasons, I have partnered with Express to show you what my typical work style is and how it reflects who I am. Express has an amazing collection of work styles for both men and women with unique pieces. 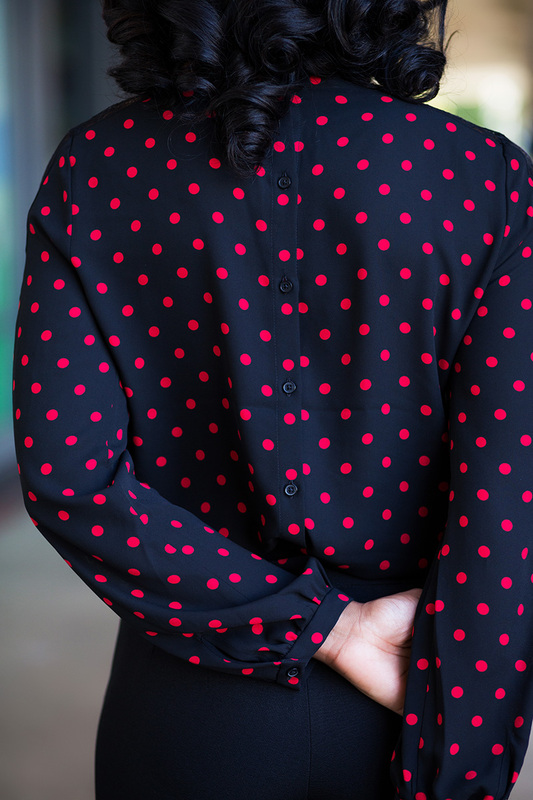 As I walked into their store last week, I could not help but notice this polka dots blouse. It had everything I wanted in a work look – great color with unique details. From the lace sleeve details to the buttons on the back, I knew I was going home with it. I also picked up this embellished military jacket; a piece that has an element of my personality and it is unique. I love that it is versatile because I can pair it for work or casually with jeans. Another item I picked up from the store are the black pants which are essential for work. 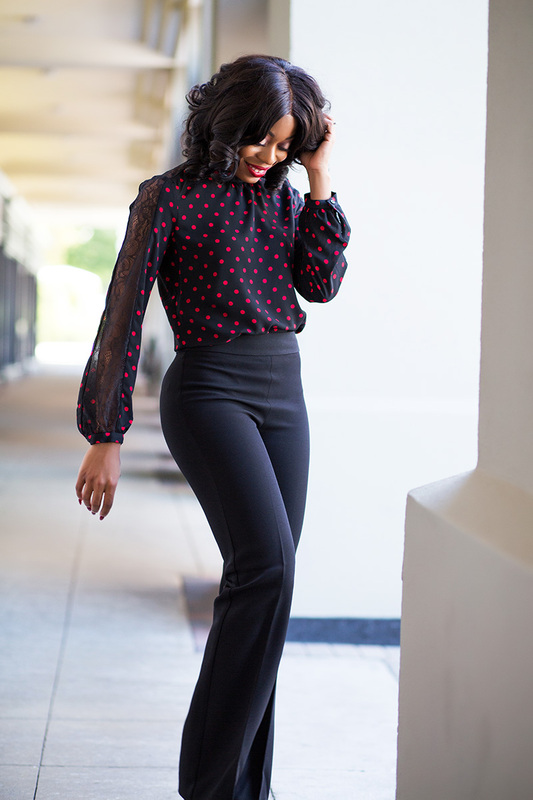 Everybody needs a great pair of black pants from ankle length pants to flare and wide leg pants. 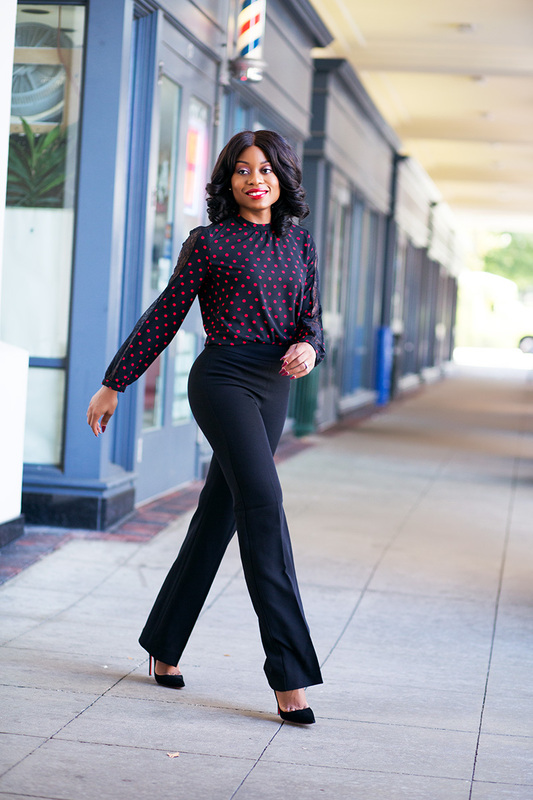 This high waisted wide leg pant is comfortable and fits great and wearing outfits that look great exudes confidence. This overall look is not only for work as it will be great to wear for dinner dates and drink dates with my friends - classy, comfortable and chic! 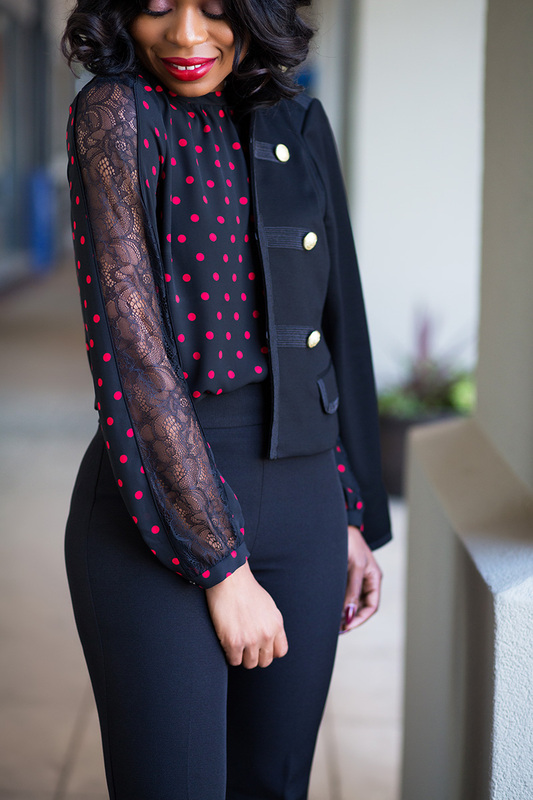 I find the lace sleeve details on the polka dot top very refreshing. Stella, you are such a fashion ICON!!! I tell ya! you have done nothing but inspire me in so many ways. and just check out your figure?!!!!! Nne i di too much. Please keep it up!!! The sky is your starting point. love it! That's definitely a work attire that I would wear. Fantastic work wear outfit, so stylish too!! You make things look so easy. Love the entire look. So darn chic! I saw this on your snap I believe and I am glad you went with this top...it looks great! @Anonymous: Thanks! The shirt is in stores not online at the moment.